Announcer: Welcome to the Parentz Pod, the Arizona baby and toddler podcast from First Things First. I’m K Vilay. Today we’re going to talk about kindergarten. The first day of school is a real milestone for children and their parents. It brings a lot of excitement and anticipation but also lots of anxiety. Is my child going to be all right? Am I going to be all right? Are they ready? Starting kindergarten, the start of their formal education is a big deal. Being ready for kindergarten is a big deal too because we know from decades of research that children who come to kindergarten prepared go on to do better in school. They’re more likely to read at grade level later on and more likely to graduate from high school. Arriving at kindergarten ready is an important step to their long-term school success. Of course, children are learning way before the first day of kindergarten. They’re born learning. The learning that happens in their early years, starting from birth, is the key to their being ready for success in kindergarten and beyond. We’ll talk about all of this with our guest Dr. Isela Garcia. In collaboration with the Arizona Department of Education, Dr. Garcia leads an initiative called The Kindergarten Experience which provides training and support to kindergarten teachers and administrators across the state to increase their understanding of how young children learn and the most effective ways to support their development. Her expertise is the result of more than 10 years of experience as a classroom teacher and 12 years as an administrator of early childhood programs. I’m not sure where Dr. Garcia’s energy comes from but she has a lot of it. She is incredibly passionate about young children and especially their social and emotional development. I hope you find our conversation both informative and inspirational. Interviewer: Welcome Dr. Garcia. It’s so nice to have you today. How are you? Interviewee: I am well. I am happy to be here. Interviewer: Wonderful. I’m hoping you can tell us a little bit more about The Kindergarten Experience. Interviewee: The Kindergarten Experience came from the Department of Education. The Department of Education began working on a K-3 Formative Assessment. What that really means is they’re looking at how to assess children in a way that helps teachers better plan and better support individual children in the classroom. So, it’s not a test. It’s not what we think about in terms of assessment. It’s a process actually of teachers engaging with children in a way that helps them understand what they need to do to support individual children. As a result of their work in the K-3 Formative Assessment process, they wanted to prepare teachers and administrators to understand best practices in early childhood education and to understand what the research says because the truth of it is our classrooms have to be functioning in alignment with brain research in order for the assessment to be effectively implemented. Alesi Group is my consulting agency. We work across the state specifically with kindergarten teachers and administrators helping them understand and change practice so that their classrooms align with what the research says about early development and early brain development. Interviewer: What is the brain development telling us for kindergarten through third grade? Interviewee: What we understand is that young children need to be actively engaged in their learning. Language is such a critical part of literacy development and so often we focus so much on letters that are printed. We get flashcards. We want them to write the letters of the alphabet. What we really need for children to build those solid foundations is language. They need to hear language. They also need the ability to work effectively with others. When we go into kindergarten classrooms, we should see children moving. We should see them actively engaged with their peers working on projects and things that are of interest to them. What we understand is when children build on prior knowledge, experiences that they’ve already had, then they’re able to build those neural connections in the brain that will serve them as they continue to grow and develop throughout their entire educational career. So, this experience in terms of understanding brain development is significant if we want our children to succeed. Interviewer: So, it’s really important they have hands-on kind of learning. Interviewee: Absolutely. Children need to be doing and moving in order for the brain to work at its best. Interviewer: It’s important work in terms of the kindergarten teachers and certainly the level of professional development that you’re providing. From a parent’s perspective, I often hear from parents that they’re very concerned. They need to get their kid ready for kindergarten. What does that mean for parents? Interviewee: I think about this question a lot. What happens is we rest in our own experience of what learning looked like when we were children. What did that look like? It looked like worksheets. It looked like memorizing letters. It looked like memorizing numbers. Maybe even drill types of experiences where we’re looking at the words like hat, and cat, and mat. We want children to start rhyming. Those are our experiences or what we believe learning is. As a parent, understanding what the research says is really important. What we hope that parents are beginning to recognize in the work that we’re doing in The Kindergarten Experience is recognizing that the language is what’s super significant, social skills, the ability to work effectively with others. To have persistence is really an important life skill. Having engaging conversations with your child, asking big questions like what do you think will happen next? Why do you think that’s true? Tell me more about what you’re doing. I’m interested in that. These types of questions help children learn to think critically. It also helps them learn to articulate their ideas and their perspectives. These are foundational skills not only for kindergarten but for life. Interviewer: So, these images that we have in our heads and our brains about sitting at a desk and doing a worksheet quietly for 20 minutes is probably not a great idea. Interviewee: Not at all. Actually, what we hear from parents is that their child or children over the years have struggled with sitting for long periods of time or are getting in trouble because of it. The truth of it is we need to be moving. Even as adults we need to be moving when we’re learning. I know when I go to sessions or trainings if I’m sitting for too long I check out. So, young children who are still developing those skills to be able to regulate their body and their emotions need the experience of moving in order to learn. Interviewer: Moving, learning, doing, and talking, it sounds like is really important to language so not sitting by yourself but rather with your other friends in the classroom, with your parents. What about when you’re a baby? With infants and even toddlers, what does that look like for them in kindergarten readiness? Interviewee: I think about the term kindergarten readiness quite a bit. I really have substituted it in my mind with life readiness because getting ready is really building the foundations for not only their academic career but their lifelong experience. So, for infants and toddlers, it really is about being in tune to your child, to really paying attention to their emotional selves. Sometimes, they’re big emotions, particularly when we get into toddlerhood. We get frustrated with those experiences. The truth of it is they just have big emotions. Our role as a parent is really to love them through the experience. When we’re in tune to who they are, then we can really help them be able to regulate some of those experiences as they continue to age. The other thing that’s really important is consistency. Consistency is really important. I grew up in a home where there were inconsistencies. So, I had to learn this as a teacher and as a parent the significance of even bedtimes, having a consistent routine at the same time each night, reading together at the end of the night, having that bonding time for infants, preschool, and beyond. My daughter is ten. We still do this. Those connections are super significant. Then, I think language is critical. Infants, I remember so many times conversations I’ve had with parents about talking with their babies. They’re like, oh well, they don’t understand. They totally understand. What’s happening is that, not necessarily the language and what it is that we’re saying but, they get a sense of our emotional state of being when we’re talking. They get a sense of comfort or not, depending on our tone and what’s happening. They’re hearing all the nuances of the sounds of the letters. Quite literally what’s happening in these little babies and toddlers is they’re developing a foundation for what’s going to be their literacy development, which is reading and writing. This happens from the very beginning of life. Interviewer: I can imagine for an infant or toddler, if they’re growing up in those inconsistent situations and from one moment to the next if they don’t know if they’re going to eat, they don’t know if they’re going to sleep, some of those basic everyday things that maybe we take for granted, that they’re maybe – what’s happening with them when that’s not consistent? Interviewee: They’re all layers of what could be happening. To the extreme circumstances, we see trauma. Trauma can quite literally – we’re talking in terms of trauma. There are all levels of it too. Even when parents are yelling and screaming in the presence of children, when there are inconsistencies in their home or there isn’t – we’re talking more of extreme situations. We’re talking homelessness and maybe even physical violence or abuse. What we see is the brain actually changes. The architecture of the brain actually changes. Oftentimes we don’t think anything of it because they’re babies. They’re not going to remember, right? But the way they remember is actually in the connections in the brain. Interviewer: Those connections are probably not great connections that they have then and throughout their life those are the types of experiences that they have a tendency to have. Interviewee: Absolutely. What happens is these, in the first five years in life, are the foundation for their ability to have relationships, to connect in even vulnerable relationships with our partners in life, or friendships. All of these foundations begin in the first five years in life. That’s pretty critical. Interviewer: On the other end of that, I might forget to do story time one night or we’re so busy I didn’t get a chance to talk to the baby while I was changing their diaper. Is that a problem as well? Interviewee: No. It happens. We’re human. But what we hope to do is provide enough connection, being in tune to our child, being lovingly responsive to our child that when we miss those experiences once or twice or here and again, it’s not going to make a significant impact as long as we jump back on and try to be as consistent as we can. Interviewer: That’s a relief. Can you tell me a little bit more? What is this kindergarten readiness? What does it look like? What does it really mean and why is it important in these early years with infants, toddlers, and preschoolers? Interviewee: Again, I just shared that we often go back to what we believe learning looks like: sitting for long periods of time, worksheets, knowing the letters of the alphabet, and the numbers. Kindergarten readiness, in my work in understanding those foundational skills that are needed, really comes down to a couple different things. The first one, again, is the emotional ability to connect with others. It’s the connection to make a friend, to be a friend, and to maintain friendships. We understand children that are successful at that are much more successful academically. So, recognizing their own emotions, labeling that, and learning to work through those experiences is pretty important. Interviewee: Another thing that is important is curiosity, curiosity. We see that with infants, toddlers, and preschool. Unfortunately, by third grade, we often see curiosity drop off. So, what we want to do – when you’re taking a walk with your child and sometimes we’re in a hurry because that’s just how life is and your child goes look, ants or bugs. We go no, no, no. Hurry up. What we really want children to do is or what we need to do is capitalize on that experience right there. The child is interested and curious about this little insect that’s walking across the sidewalk. When we stop in that moment and just go what do you think that is? Tell me what he’s doing. That’s an ant. That’s a black ant. When you just provide that language and ask those questions – you know what? You do this with babies. The more language opportunities that we can provide the better foundations we have for children. As they grow and language gets more complex, they have those foundational skills. So, it’s not like at three years of age we’re working into preschool now. Now it’s time to get them ready. It’s not that at all. It’s that when I’m changing my baby’s diaper, I’m having a conversation with them about oh my goodness. It must be uncomfortable to be in this soggy diaper. Let me help you. I’m going to take it off. I’m pulling off your pants. You just walk and talk through the experience. There’s bonding that’s happening. There’s language that’s happening. That significant dance that’s occurring is so critical for that relationship piece as they continue to grow and develop as well as their academic learning piece. Interviewer: It really is the everyday moments. It really does start very early. Interviewer: Thank you. It’s not really a one moment in time. Next week my child starts kindergarten. What am I going to do to get them ready? Really, it’s up to us as adults, their parents, their caregivers, and even in classroom settings with teachers, to help support that growth and development. Interviewer: Thank you. Some other kinds of things that parents can do to help their children get ready for kindergarten, you’ve talked about the language. You’ve talked about the emotions and the bonding with your child. Can you talk a little bit more about reading? Interviewee: Yeah. Reading is one of those things that I think opens – they’re windows into different experiences that a child either has or hasn’t had. Not only is it important for children to begin to understand that these words that we say are represented by these squiggly things on the paper that we call letters that come together to form words and then sentences. That’s an important thing for children to know. But it also sparks imagination and creativity. When we’re looking at 21st century skills, it’s a term that we’re using in education quite a bit, which means that the world that we’re living in today is going to look significantly different 15-20 years from now because of technology. Technology has changed our lives in so many ways. So, where technology and preparing children for that world and where technology rests in our understanding right now is that we want children to be innovative and creative because that’s the core of innovation in the future. How we do that is not with technology. It’s with reading books and asking them to draw pictures that are open-ended. It’s engaging in the process of retelling the story because we’re tapping into these deeper language experiences when they comprehend or are working to comprehend. Then we join in that journey with them as they’re retelling the story. Interviewer: So, pretend play is really important then too. Interviewee: Pretend play is the core for innovation so pretend play and creative experiences. What I mean by that is building with blocks, building with Legos, drawing pictures without coloring books, just drawing pictures, and being able to make the elephant purple with a big pink bow instead of saying elephants aren’t really that color. We go oh my goodness. Tell me about your elephant. When we allow, when we provide opportunities for children to be creative, it really is the core of innovation. That’s how we prepare children for a future that we can’t even begin to comprehend at this point. Interviewer: Right back to the learning by doing and moving, again, to your point about using blocks and different pretend play kinds of things and using a blank piece of paper versus a coloring book. That’s really interesting. A piece to me too is the pretend play when they’re dressing up or they’ve read a story and they act it out. It’s really fun to watch. It’s interesting that you mentioned technology. It’s about innovation and what our world and jobs will look like in the future. What about screen time then? Interviewee: What’s interesting is there’s this misconception that if I give children screen time, my child screen time, that I’m preparing them for a world where technology is going to be really at the core of much of what we do. What we understand with screen time is that children’s language is affected. In terms of brain development, understand that when you show a video to a child, maybe mom even, the video of mom singing a song, and then we watch when the mom comes into the room and actually sings the song with the child, the brain actually fires up far more when there’s actual engagement with a person. What’s so interesting is that we have this perspective that as long as they’re watching educational videos that it serves a good purpose. I will tell you that educational videos are better than other things that are out there. But really what’s most significant for children is the human connection. When we do brain studies, we recognize that it fires up so much more with a person who is engaging wholeheartedly with the child. So, technology in terms of screen time really needs to be limited. We have guidelines for that. Under the age of two, children shouldn’t be spending any time on phones, Smartphones, and tablets. Interviewer: Okay. So, it’s not a great idea to give the six month old the Smartphone and have her watch a show on the Smartphone then to learn language. Interviewee: I want to mention, our babies will be quiet. They get quiet. Their attention gets to the screen. So, it’s real easy to want to give something to your child who might feel distressed because now they’re no longer distressed. If I put a cartoon in front of them or something for them to do, all of a sudden now my child is no longer sad or frustrated. So, it’s real easy I think for us to move into that experience when, in fact, what the child really needs is you being fully present in that experience. Interviewer: I, as an adult, should probably put the phone down too if I’m with my child. Interviewer: That’s very interesting. The idea here, too, again, I can see that where a child would just instantaneously be quiet when they’re watching something on a screen. In the moment, it might look like it’s okay but, in fact, it’s not. The brain isn’t doing the same kind of activity then. So, they’re not really learning and growing. Interviewee: They aren’t at the level if we substitute it with a real person engaging in a fully present type of experience, using language, singing songs, playing games, doing that pretend play that you talked about. How many of us have had the experience where a two year old hands us a telephone? It may not even be a telephone. It could be a block. Interviewee: Yeah, a banana, absolutely. We hand it and they’re pretending to talk to you. So, we need to take that telephone and say hello and engage in that experience because those are the moments that are building the foundations for kindergarten readiness. Interviewer: Great, thank you. I get questions from parents a lot. What are the most common kinds of questions that you get from parents? Interviewee: There are two. The first one is the types of learning that is happening. Young children, as I mentioned, need to be actively engaged. Parents will often reach out to us because their child is expected to sit for long periods of time working on worksheets. That’s what we’re doing in The Kindergarten Experience is helping to inform teachers and administrators about best practices and early brain development so that children are learning, and moving, and grooving is what I consistently say. What we help teach parents in their – I think it’s kind of their journey of trying to meet the needs of their particular child. Often, it’s not always, but I will get a parent reach out to us that says I have a son who is everywhere, from every which direction. What can I do to help him stay engaged to learn? The concern is oh my goodness. Is he going to know enough? Is he going to learn enough? My experience as a classroom teacher I remember so vividly. I would be at circle time with my group of children. There would be one child who didn’t want to join us for whatever reason. He’d be in the library area. I would ask a question about the book we were reading. He would throw out the answer from the other side of the room. So, we have this perception that if children aren’t looking at the teacher, they’re not listening and they’re not learning. But all of us learn in such different ways. The key is to figure out what works best for your child, the types of experiences your child needs and advocate for that. Say he does really well in experiences where he gets to move. He does really well when he’s lying on his belly reading a book. That’s okay. So, it’s important for parents to just key into who their child is and speak on that behalf. The second thing in the questions that I get is often around behavior. I often get questions about my child is melting down or he’s having a hard time going to kindergarten and doesn’t want to be there. So often we forget that they’re only 60 months old and there are big emotions of leaving mom. When you think about it, I’ve been with mom and dad and my family every day. Interviewer: Every day, every moment of every day. Interviewee: Now you want me to go to this place and trust this person who they call my teacher with all these other children. It’s hard to even say, hey, look at me and notice me, when there are 25 plus children in the classroom. So, this transition of moving from home to school, what we understand is so critical for children’s continued academic success. How do I help my child during that transition? You let them have their experience of feeling afraid, of feeling sad, of feeling overwhelmed. You say to them I know it sometimes feels very scary going to a new place. Too often what we do is the opposite. You’re a big boy. You’re going to be okay. You’re fine. You’re okay. Why are you crying? We use that kind of language that diminishes their emotional experience. Then what happens is they suppress it. We want children to get in touch with this is what I’m feeling. It’s a real feeling. It’s okay to have that experience. We just need to be fully present. We hug them. We kiss them. We let them know that we’re going to be back to pick them up. Sometimes The Kissing Hand is a very popular strategy. It’s a book that’s available that many young children love. In my classroom parents would sometimes put red lipstick on, even dads would do it, because it helped transition their child. They’d put red lipstick on and kiss their child’s arm. We did the hand first but because we do so much handwashing that didn’t work. You washed my dad off. So, we would do the arm. Just to know that I’m going to be back and just because I’m not here doesn’t mean that I’m not still a part of you. Interviewer: There’s that safety, security, the consistency thing too. I’m always going to come back to get you. Really, again, it’s important for adults to acknowledge, and empathize, and be present in the moment. Again, everyday moments and acknowledge their feelings and their emotions and what is happening in the moment. We’ve talked about kindergarten readiness. It’s really about life readiness. Interviewer: In these approaches to learning not only from how parents support their child but also from teachers and how we work in the classrooms and how we work individually with each child, this whole child approach, if you could speak to that a bit. Interviewee: When we’re really paying attention to the whole child, let me back up a little bit. Historically, we have paid attention from an educational perspective to the cognitive growth and development. That’s what we perceive as the learning piece of reading, writing, and arithmetic. A lot of us have heard that expression. That has been the focus in education for a very long time. What we’re recognizing is that in terms of brain development there’s more to a child than reading, writing, and arithmetic. There is their social development, their ability to connect and work effectively with others, to be able to communicate their needs, their emotional selves. That’s the part within them of recognizing their emotional state of being. How am I feeling? What do I do with those feelings? What happens when I feel out of control, overwhelmed, fearful? What do I do with that? Those two things are critical. That’s really a life deal. Language and communication is significant as well. There’s so much emphasis in reading by third grade. We then, because of our experiences, push the letter recognition, the writing of the letters, and the recalling of letters. But really those foundations are language. It’s using sophisticated language with your child. It’s not making it a simple statement but using language that’s going to help them extend their understanding of something. Even when you walk down the street and you notice a cloud, you go tell me about what you’re seeing. Do you notice how enormous that cloud is? You use that expanded language to really help them build that vocabulary. It’s also their physical development. Oftentimes, when we have children, let’s say, walk with their hands right next to their legs when they’re walking, they just started walking just a couple years ago, not very long. So, they need their hands to sway back and forth in order to provide balance. So, teachers who are very in tune and parents who are in tune to physical growth and development, hopping on one leg, being able to have balance as they’re running. Even using the pencil and markers and crayons, what we know is that that fine motor development that happens in their fingers actually begins with the big development around the wrist. In order for children to be able to manipulate things like pencils, markers, crayons, and those kinds of things, we have to develop the wrist muscle first, which is like painting. It’s using paint brushes. Parents can easily do this. Especially if you have cinder block walls, give them a paintbrush and dip it in water. Especially in the summer right now, they can paint the cinder block wall. In five minutes it’s dried and they can do it all over again. So, those are developing the physical muscles that children will need as they continue to grow and develop. Interviewer: So, it’s really important before a child can sit down with a pencil and write letters or even color with crayons or markers, there’s a lot of fine motor development that has to happen. Interviewee: Young children need big body movement. We recognize that with infants and toddlers because they’re crawling around on the ground and they’re climbing up, let’s say, a slide that they’ve been working on trying to get up that looks ginormous to them. We get that with little children, 0-3. But as they get older, we forget that they’re still developing those physical muscles that are so required as foundational as they continue to grow and develop. Interviewer: It’s very interesting. 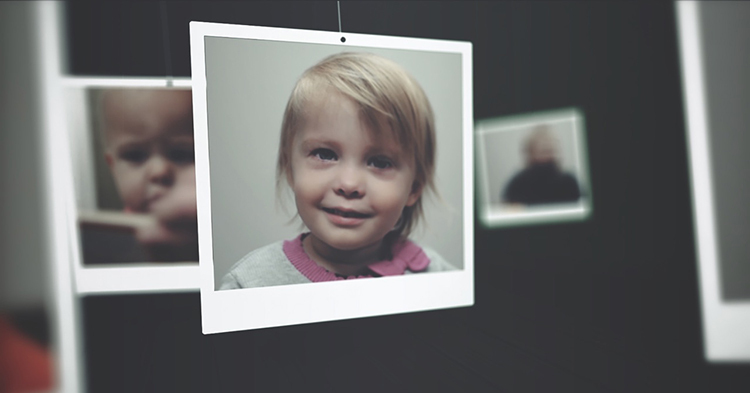 So, the whole child is much more than just the cognitive development, as you said. It’s the motor development, both large muscles and small muscles, language, emotions, and all of that working together that has that lifelong impact in the academic success in school. Interviewee: When we think about high school and college, when we get to those levels, we’re asked to do something creatively, to do something innovatively, to build and construct something in some of our classes in college. Learning becomes much more sophisticated. What’s happening at that level is we’re tapping into all of the years before. So, if I’m 17, I’m 16, I’m 14, I’m 12, I’m 10, I’m 5, I’m 3, I’m 1, all of those years of experiences and opportunities for learning and investigation and someone supporting my curiosity, all are in that child who is now being asked to do something at a much higher level. We sometimes forget that. We forget that all of the experiences we’re having lead us into the future. Announcer: This is the things you can do part of the Parentz Pod, when we talk about how you can connect with programs and services in your Arizona community, to get more information, or to get some one on one support. Quality childcare and preschool programs can be incredibly helpful in preparing young children for a successful transition to kindergarten. Quality early education includes: hands-on activities that stimulate positive brain connections in young children, learning environments that encourage creativity and imaginative play, and positive relationships between teacher and child that gives kids the individual care and attention they need to learn and thrive. To learn more about quality childcare and preschool, visit qualityfirstaz.com. Quality First is Arizona’s quality improvement and rating system. It’s one of First Things First’s signature programs. 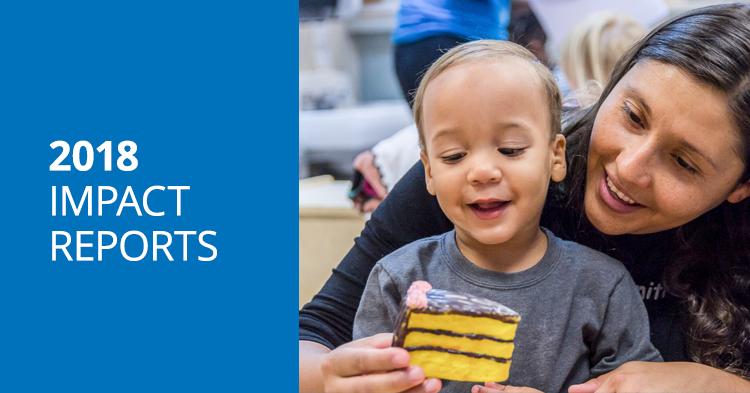 Currently, more than 1,000 childcare and preschool programs participate in Quality First. Again, to learn more and find participating programs near you, visit qualityfirstaz.com. You heard Dr. Garcia talk about the importance of language. Talking with your child, having back and forth responsive conversations with baby, toddler, or preschooler is about the best thing you can do to help prepare them for success in school and in life. To get some tips, visit on readonarizona.org and look for information about smart talk. You’ll see how easy it is to bring words and conversation to your child in ways that really make a positive difference. There are all kinds of family support programs available across Arizona: parenting classes, home visiting programs, wonderful free programs that help you support your child’s healthy development and learning. 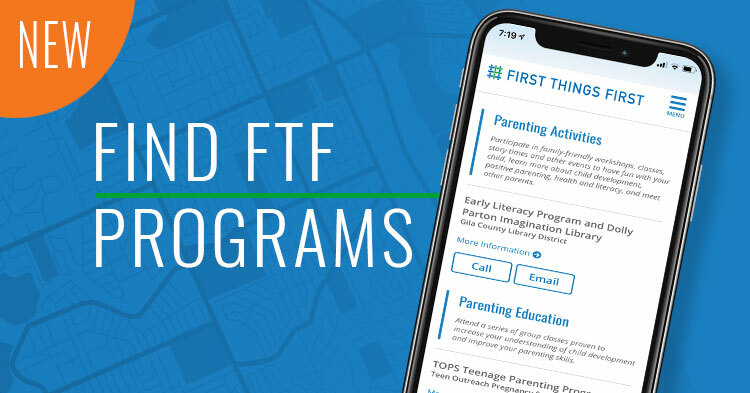 Go to the First Things First website and find your local FTF region to learn about the programs available near you, firstthingsfirst.org. The Parentz Pod is brought to you by First Things First. 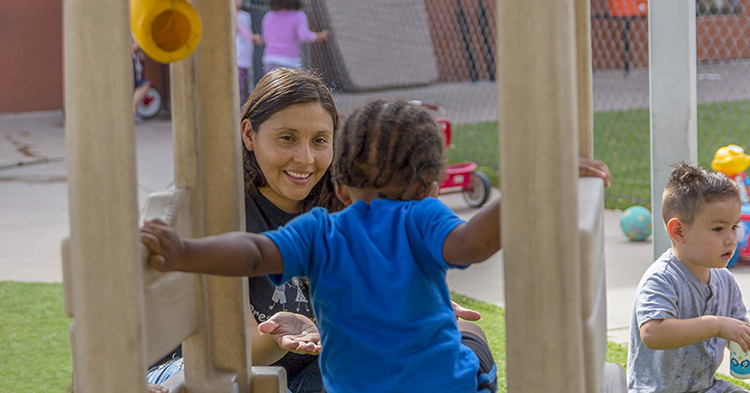 First Things First is committed to supporting the development and learning of Arizona’s kids from birth to age five so that more children arrive at kindergarten healthy and ready to succeed. For more information, visit us online at firstthingsfirst.org.